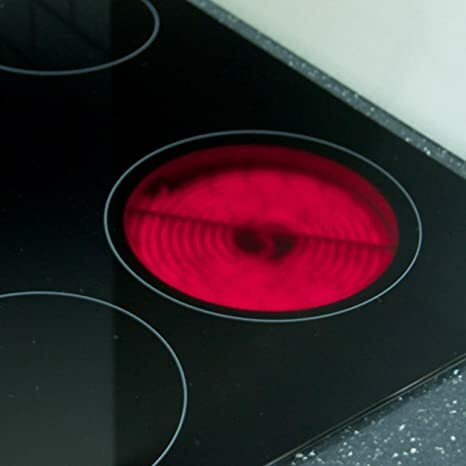 The HC6211FR is a four zone, CDA Ceramic Hob with easy to use, side rotary controls. It has a sleek, frameless black glass design with an easy clean surface for quick maintenance and the side control mean that this product is safely out of reach for children. If so, this hob is for you. The HC6211FR is an CDA 60cm black ceramic hob which provides you with value for money. Its side control design creates a modern finish and will fit in seamlessly with your kitchen decor. The side control panel makes it extremely easy to operate, making your cooking experience more convenient and stress-free. With 6 power levels and 4 cooking zones, the HC6211FR provides you with plenty of cooking options to prepare your every meal. Together with this, its durability and ease of maintenance makes this ceramic hob an all-round excellent buy! For peace of mind, this model comes with a 5 year parts and 2 year labour guarantee to ensure quality is maintained for years to come.